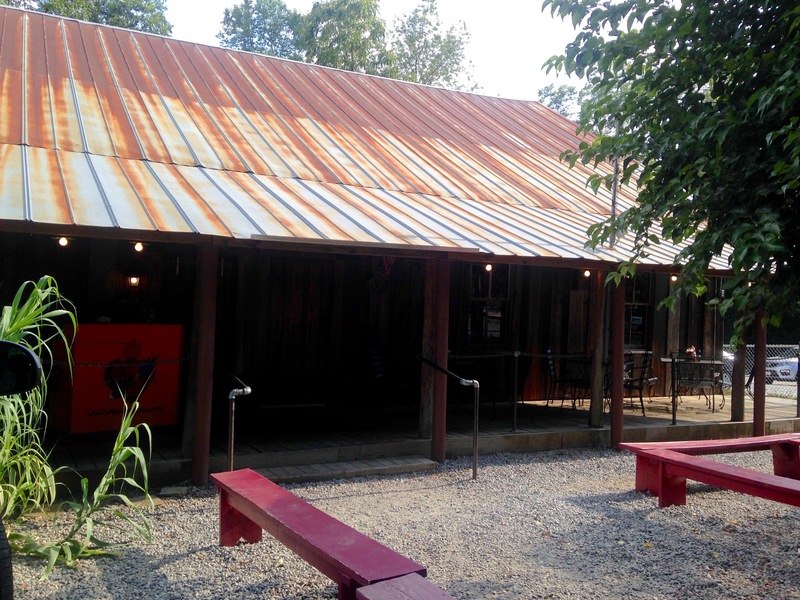 Last week’s post on the Roswell Rib Roundup went semi-viral and we heard from several readers about Swallow At The Hollow, wondering why it was not included. Ever since we visited sister restaurant Greenwood’s across the street, we have been saving Swallow for its own visit on Date Night. Tonight, we finally get to swallow some of their barbecue. Let’s check it out. 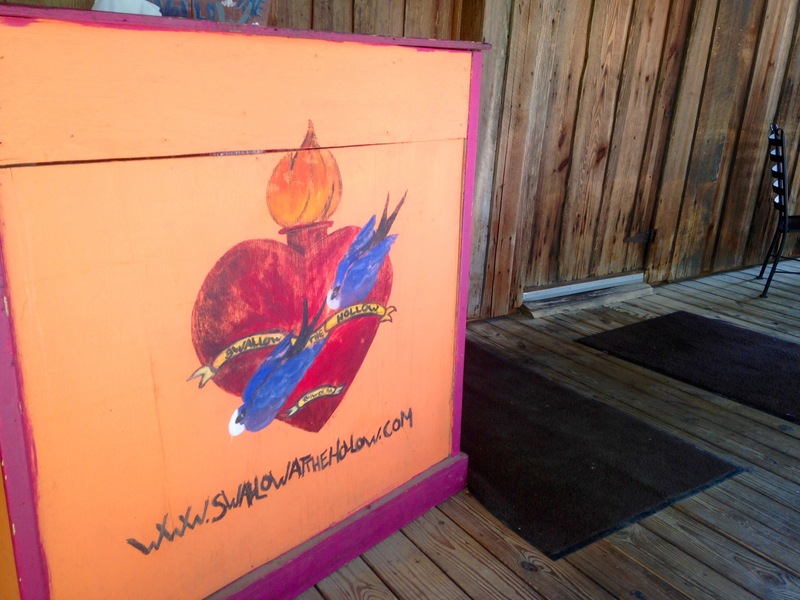 Swallow is located in a very cool building on Green Street. Is it historic, or did they just make it look that way? There’s barely a sign, and the parking lot fills up on the weekends, so you might want to go early. We probably could have sold our space when we left. There’s a nice, friendly greeter and a large, open kitchen when you walk in. 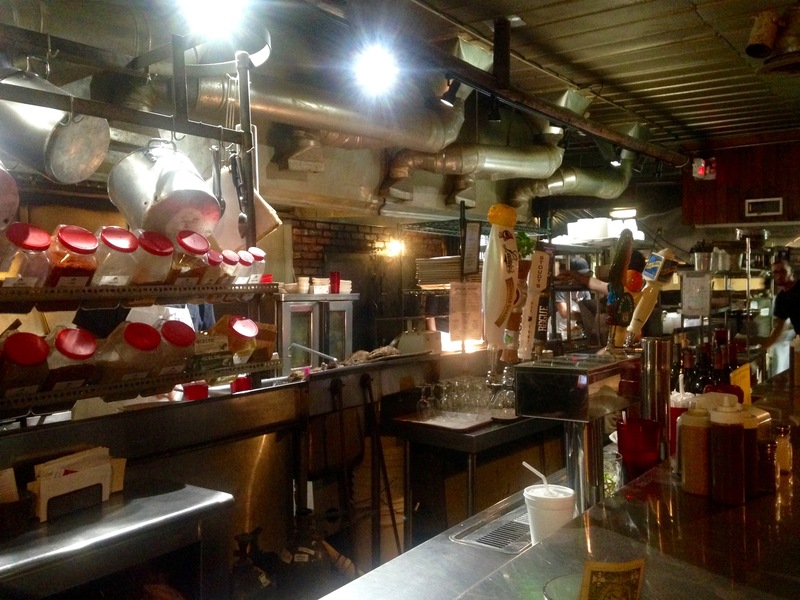 It’s busy in there and the energy from the kitchen spills out into the restaurant. Like the kitchen, the dining area is open. We took our picture before they got busy. They can seat a lot of people in here, and families seem to be their biggest clientele on the “early” shift. The draft beer list is a little heavy on the IPAs, and we must go bottled tonight. 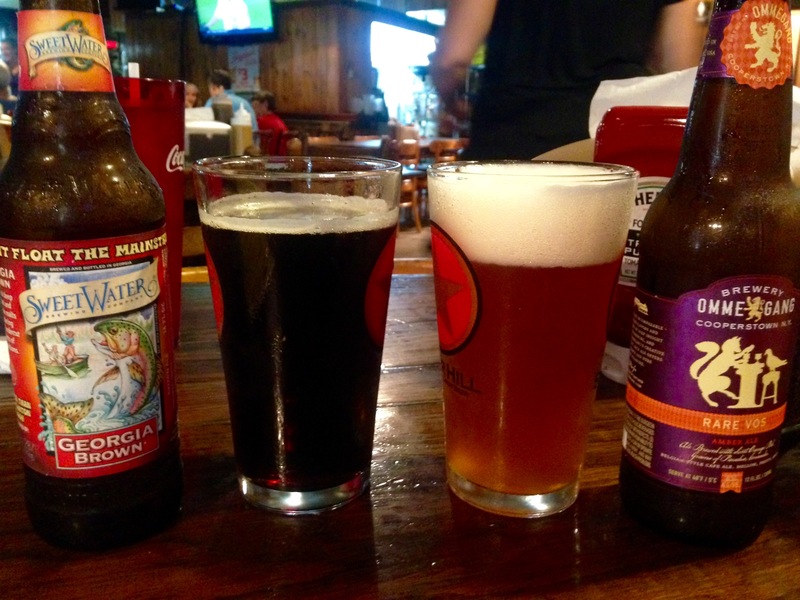 What’s more local than a Sweetwater Georgia Brown? It’s a fine, smooth brown that’s good for a hot summer day. Eve goes more exotic with a Ommegang Rare Vos, one of my favorite beers. Like the Sweetwater, it’s not too heavy, because who wants to drink heavy beers when the weather is so warm? 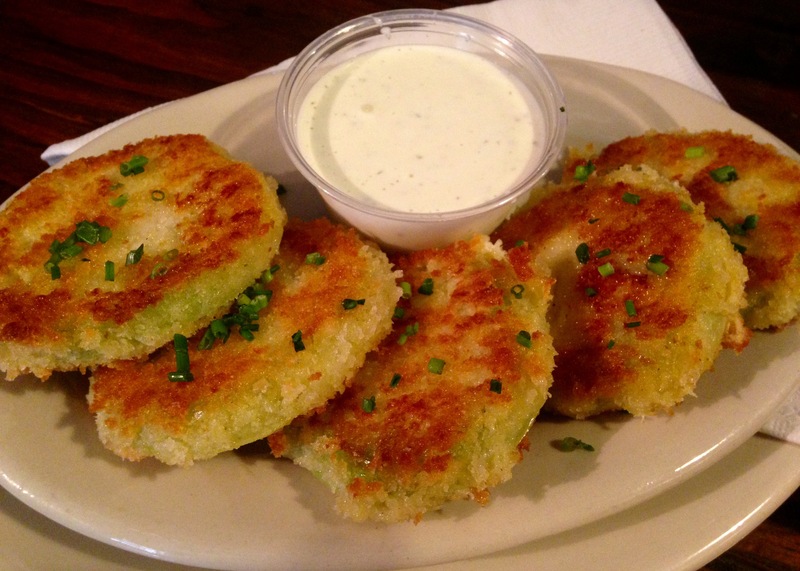 We decide to start off with some fried green tomatoes. Check out that beautiful breading. We are told that the tomatoes are actually sauteed in a pan instead of deep fried. This makes them crispy on the outside without getting too mushy on the inside. This is an excellent appetizer, and if you don’t want to order it as a starter, you can get the ‘maters as one of the side dishes for dinner. The pork ribs are a special tonight. Eve, jealous of all the ribs I have had in the last week, orders some. Are these good enough to be a contender in our Roswell Rib Roundup? Unfortunately, no. These would have come in close to last in our roundup. They are dried out and chewy. I always think that ribs are better during the lunch hours as they haven’t been cooking as long. These taste as if they have been sitting around for hours. Several orders of baby back ribs go by that look a lot fresher than these. 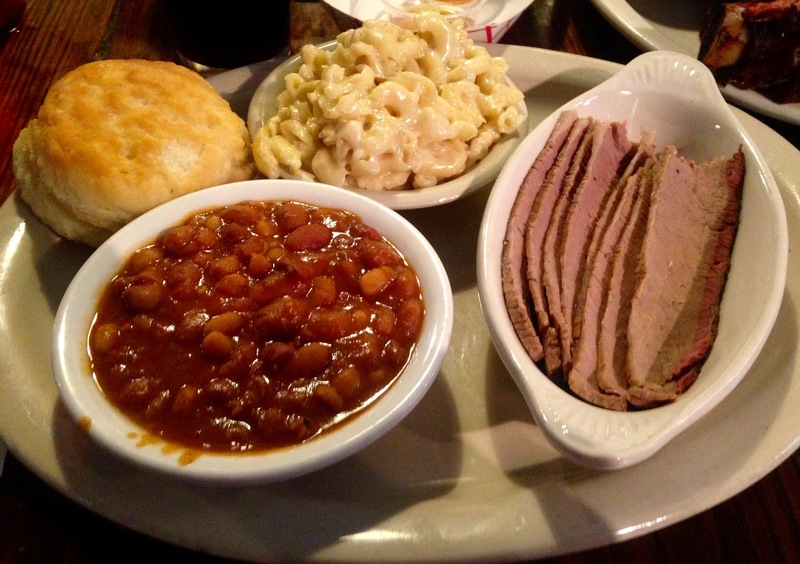 The best things on the plate are the cole slaw and the biscuit, which is even better when drenched in the honey that comes with it. 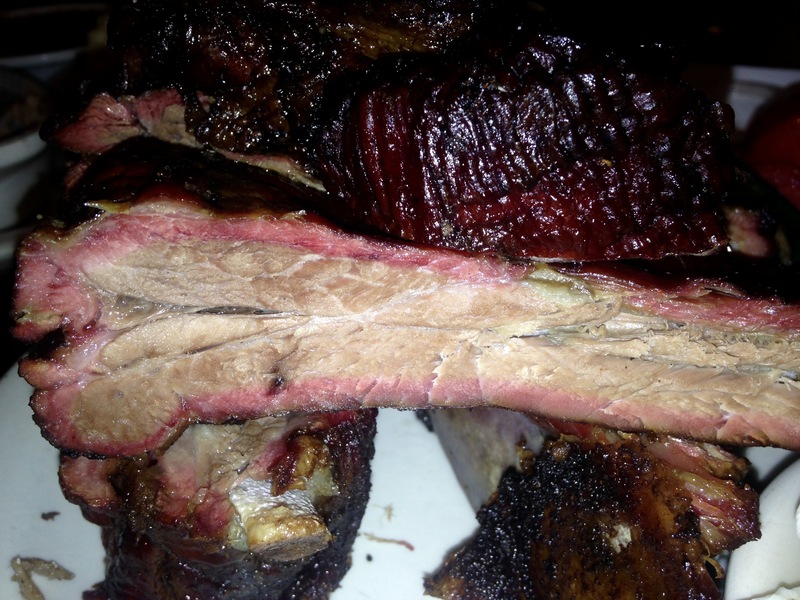 The beef ribs are another special, and I am torn between the bones and the brisket. Since Eve is getting ribs and I know I can have some of hers, I go for the brisket. It’s thinly sliced and a little dry, but nothing that a little BBQ sauce won’t fix. I was hoping for thicker pieces like you get at Smoke Ring or Twin Smokers. It’s OK, but if Atlanta is becoming a “brisket town” as Grant Goggans of Marie Let’s Eat has suggested, this is not a good example of it. The mac and cheese is outstanding, some of the best I have had. For those who like baked beans, these are very enjoyable as well. Had we shared our main course, we would have had room for dessert. The chocolate chip banana pudding, made with chocolate chip cookies instead of vanilla wafers, sounds tempting, but there is nowhere to put it. The portion sizes are large at Swallow, which will leave your stomach anywhere but hollow. You might want to share your dinner with a friend so you can sample the dessert menu. 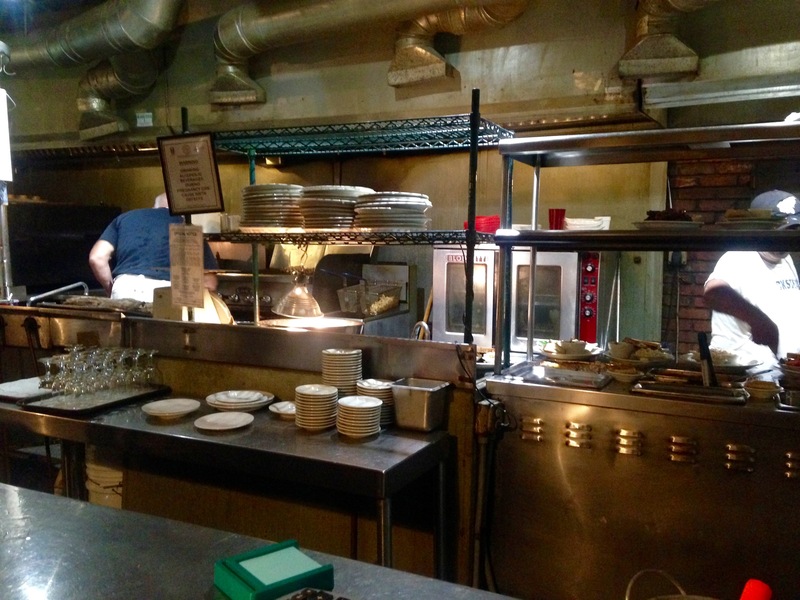 The bottom line on Swallow At The Hollow: We were a little disappointed. The ribs were dried out and chewy. I would have liked the brisket better if it had been thick-sliced. The side dishes and the biscuits were outstanding, but for the “boutique BBQ” prices they charge, the meat should have been better. Maybe a vegetable platter here is the better way to go, where you can just get sides and a biscuit. 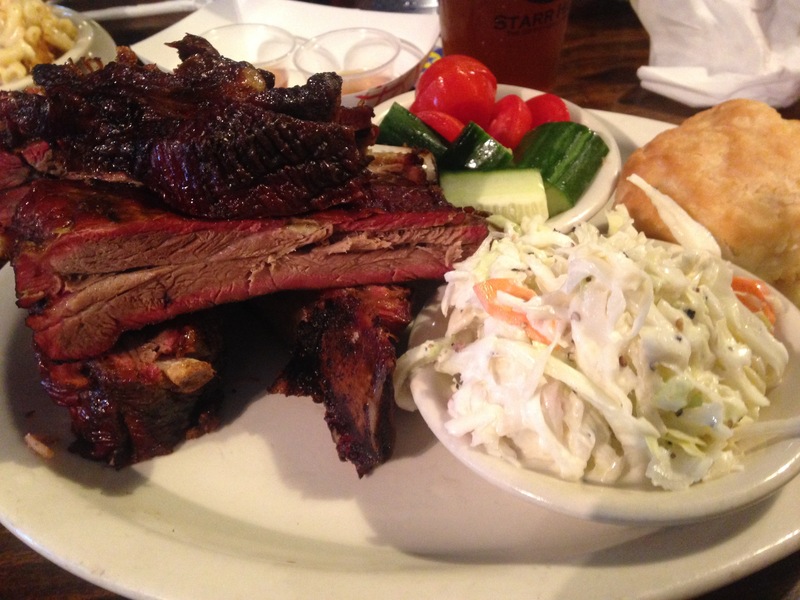 I think that Grant is right – Atlanta is becoming a brisket town. Try Bludso’s downtown (just order it dry). Or Mooney’s up in Flowery Branch. Keep up the good work – I really enjoy your blog. 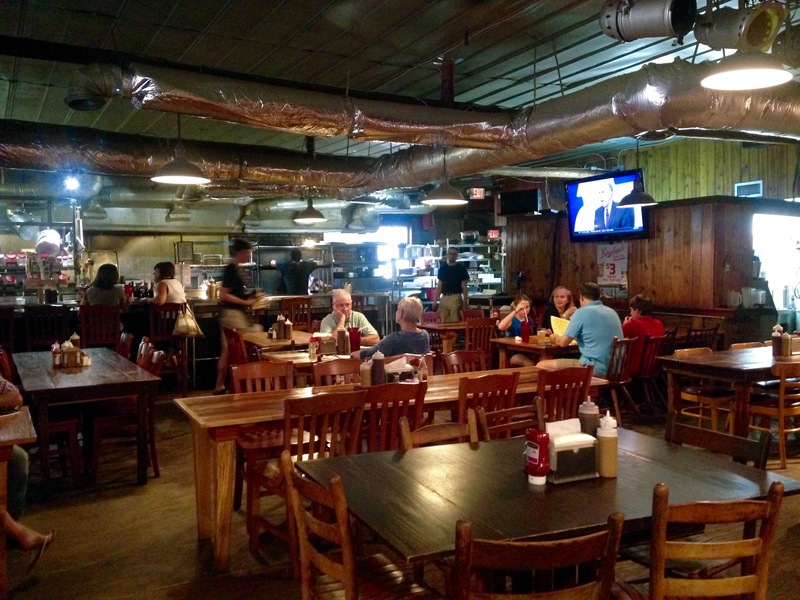 Dave Poe’s BBQ, Marietta GA (take two) – Marie, Let's Eat! 111,028 of our restaurant reviews read.